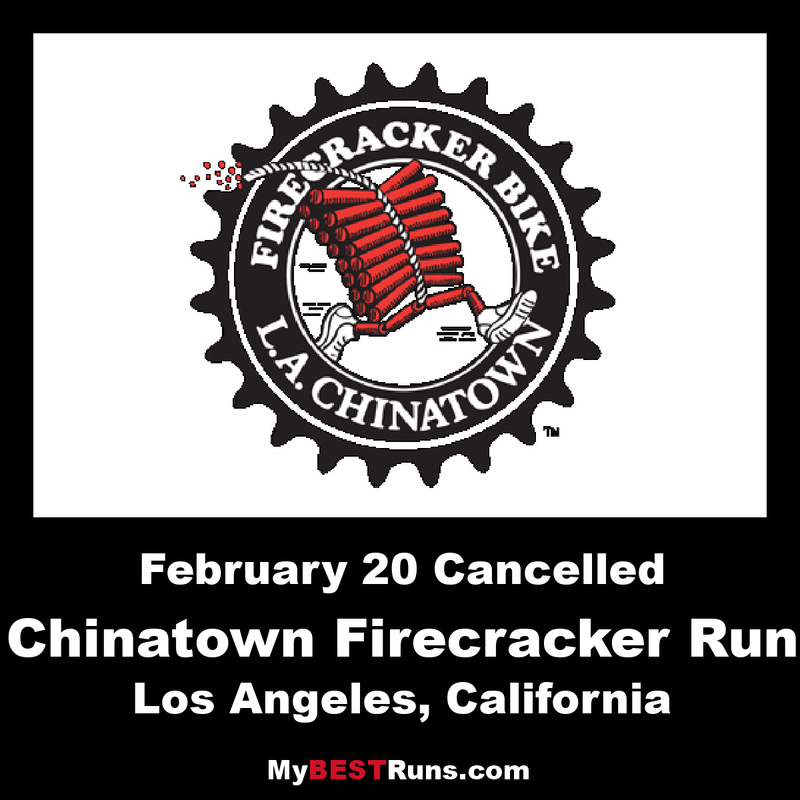 The name of this event is perfectly appropriate, considering both the 5K and 10K runs start in Chinatown just north of downtown Los Angeles with hundreds of Chinese firecrackers providing an electrifying send-off, literally getting runners off the mark with a big bang! Since its inception, the L.A. Chinatown Firecracker Run Committee, Inc. (LACFRC) has contributed more than $450,000 to local elementary schools and non-profit community organizations providing services and programs to benefit the community. 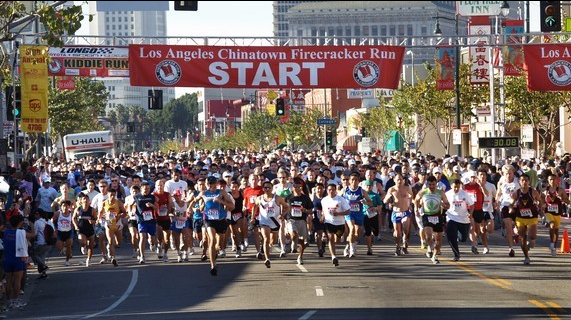 The Los Angeles Chinatown Firecracker 5/10K Run/Walk is the largest and longest-running Lunar New Year charity run in the United States. Established in 1978, Firecracker has since grown to include a Bike Ride, Kiddie Run and PAW’er Dog Walk and serves the greater Los Angeles metropolitan area with support from the City of Los Angeles. All proceeds are reinvested into the community, in support of elementary schools and non-profit organizations, providing services and programs that benefit local neighborhoods. 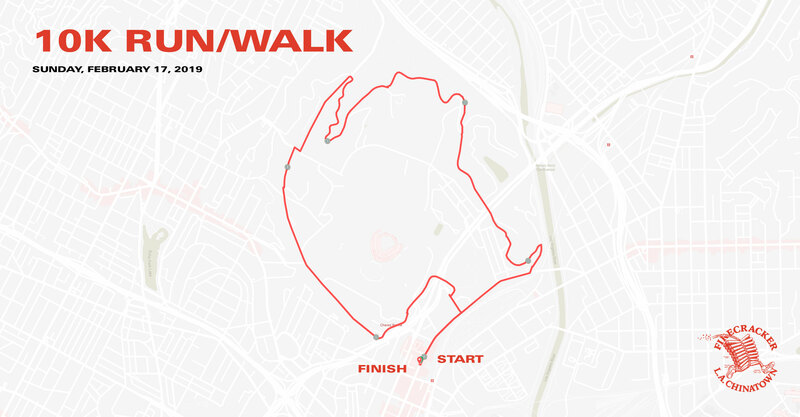 "This uphill course takes you through the most scenic views above LA. The race begins in the heart of Chinatown. Through Elysian Park to the grounds of Dodger Stadium the energy of this race is amazing," says Lacey Marac.